The client wanted the icing on the rails and guys. I grumbled inside my head but it made the cover better. 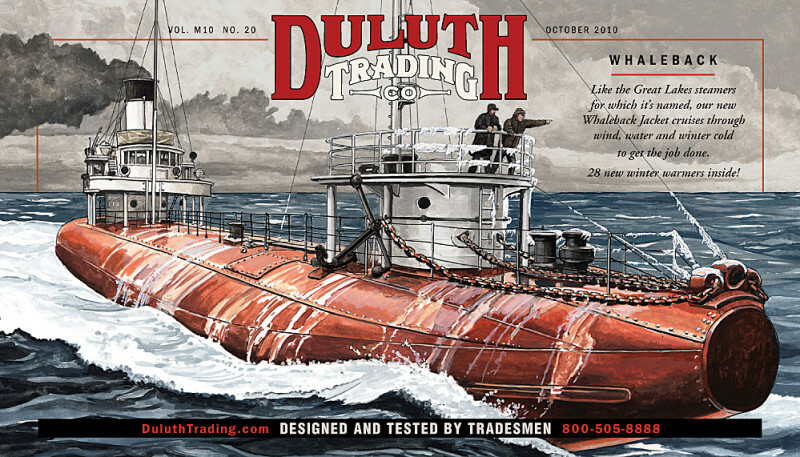 This image found a second home in the Duluth, Minnesota Duluth Trading Store, blown up to around 10 feet wide.